Our first ever Kryon UK Meetup for those living in and around London; the venue: the beautiful Kenwood House and grounds in Hampstead. We were 13 Kryonites and Kryonettes, bathing in autumnal sunshine and enjoying the incredible beauty of the House and Heath. After coffee and croissants we set off on a marvellous walk around the heathlands and lake, guided by Naomi who suggested the venue and kindly gave us a lift too! A short meditation on the grassy surrounds and back to the Brewhouse Cafe for more delights. Wonderful! Avebury (Honey Street) - 14 July 2018! Once again we meet at this lovely spot in Wiltshire to see and hear the latest in Crop-circle formations with the help of Monique van Kinkenbergh who has an annual exhibition here near Avebury Henge. We meet at Honey Street Mill Cafe (shown above) at 11am for coffee then spend some time at the exhibition. Depending upon the weather we may visit Avebury Stone Circle and, if time allows, West Kennett Long Barrow. If good weather we will have a picnic lunch (food from the cafe if you prefer); if not we stay with the cafe! You'll need to have your own transport and bring suitable outdoor wear and something to sit on. Last year we went chasing a new crop-circle which was great fun! The first Kryon UK meetup in the north of England! 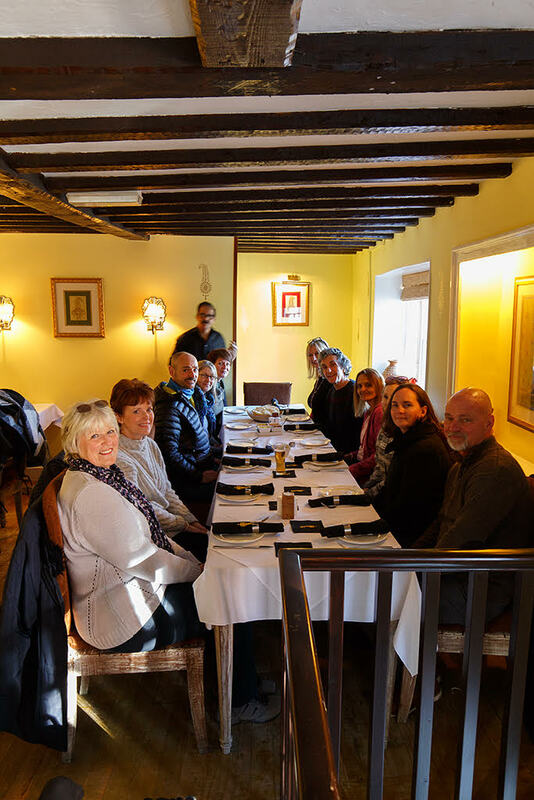 Organised by Chris Ashley, six Kryonites and Kryonettes came together for the first time and enjoyed deep coversations and joyful chats in the beautiful City of Chester. Our second meetup in Petworth, West Sussex, introduced us to new faces from as far afield as New Mexico..a family of three visiting London spotted our event and made their way to our small chapel to join our group for a day of meditation, led by Malti Patel, a fabulous vegetarian lunch at the famous 'Meghdoots' Indian restaurant, a walk in Petworth Park and finished with an English cream tea at the unique Old Railway Station nearby. Expect the unexpected... and we certainly did! Nine of us participated in a one-day meetup which found us in the Vale of Pewsey, right next to the beautiful Kennet and Avon Canal. It's a great spot and the new crop circle research centre was our first stop; we met Monique who gave us all a guided tour of her research and amazing pictures of some of the most complex and interesting geometric patterns. Lunch at the superb Honey Street Cafe fueled our vote to go in search of one of the latest crop circles and to give Avebury Henge a miss on this occasion. Our motorcade sped through the hills and dales until we pinpointed our target which was hardly visible from the road. The kindly farmer allowed us to go into the formation which was so special! A fascinating exhibition of crop circles, their history, background and research forms the backdrop of our next Kryon UK meetup. Monique Kinkenbergh has put together the world's most important collection of photography and information on this puzzling phenomenon in her exhibition centre next door to The Barge Inn, set on the beautiful Kennet and Avon Canal in wiltshire's crop circle 'epicentre', close to Alton Barnes. We meet together at the exhibition centre (details above) around 11am. Monique will be on hand to answer questions and inform us where the latest crop-formations have appeared. If time allows, and if there is a recent circle close by, we may be able to travel there and even experience the 'energies' inside! Lunch is available at The Barge Inn next door, after which, and at around 2pm, we will make our way to Avebury stone circle which is about 20 mins drive. There is the Henge Shop to visit and we can make a walk around the stones before settling in our group for a meditation within the stones at 3.30pm. We will arrange a meeting point for this on the day. Make sure to bring walking shoes, a rain jacket and something to sit on for the meditation. We look forward to seeing you on the day! Our very first Kryon meet at the top Glastonbury's famous Tor! This is a very special place for Lightworkers and represents 'home' for many. The Tor has many meanings for us which are esoteric and shrouded in folklore. That is the magic of the place and for many it eclipses even Stonehenge as you may even climb upon it and appreciate the energies, the sacred waters and the wonderful legend of King Arthur. The Chalice Well, nearby is also a place of divinity and healing. 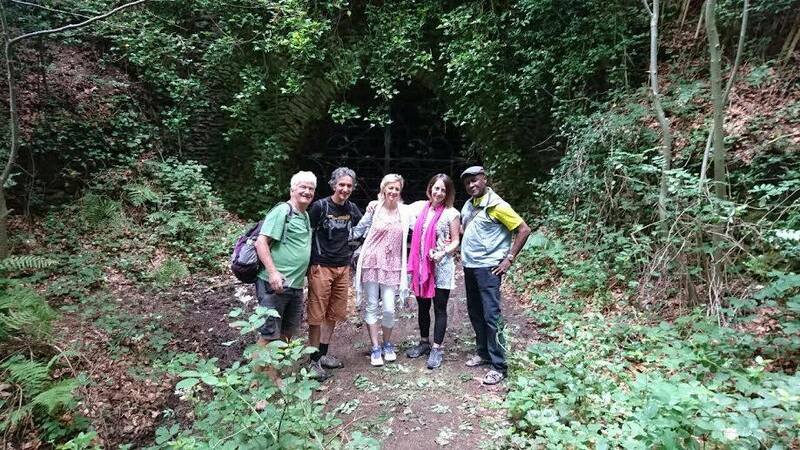 Laura Barbour took the Lemurian Sisterhood group on the Saturday, completing the day at the Chalice Well with water ceremony and meditations. The remaining male partners, in the meanwhile, enjoyed chatting in the local cafes and taking in the wonders of the town. 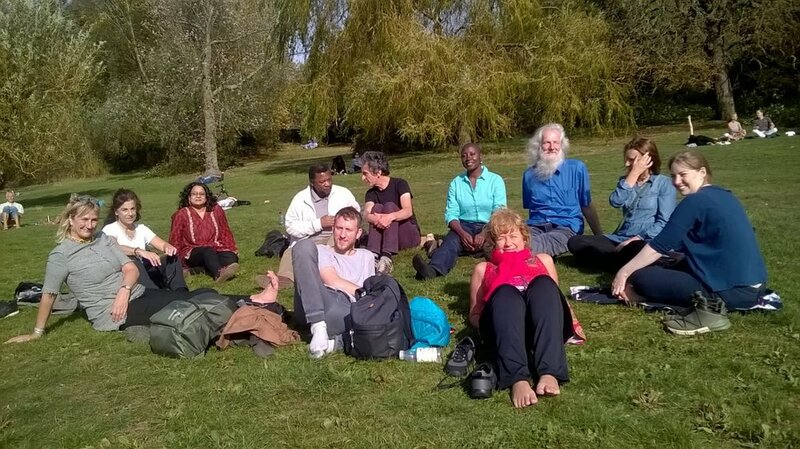 Sunday saw us all at the top of the Tor for the Kryon Picnic and meditation to end the day. A big 'thank you' to Tony for taking the pictures and to Richard for risking introducing his two lovely friends to the group.. synchronicity and sunshine were there to make this a weekend to remember. We asked for sunshine and so it was! 13 of us met at 11am on 11 March for the first London and south east Kryon Meetup. 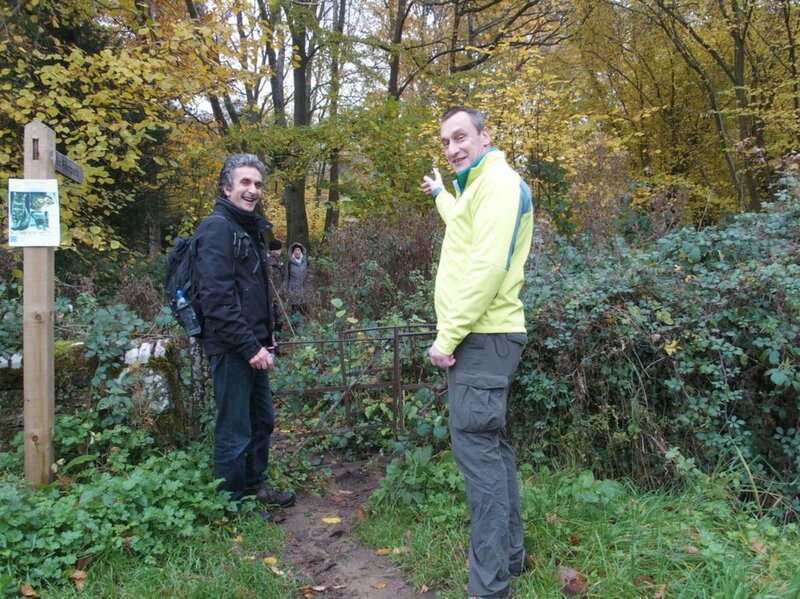 After a coffee at the fabulous Zoo Cafe, Milford station, our group set off on a beautiful walk through the surrey hills. After a meditation under the canopy of a significant yew tree, led by Paul, we emerged from the forest onto Hambledon common (featured in Louis de Bernier's book, 'Notwithstanding') to the high-point overlooking the south downs. A lunch-stop at Hambledon Village shop/cafe filled us with healthy delights before the last leg of the journey which would find us in meditation circle at The Great Yew of Hambledon Church. This most extraordinary tree is said to be more than 2,500 years old. The interior of the tree feels almost habitable! If you love the writings and audios from Kryon, you can now link up with other Kryonites and Kryonettes living in the UK to share with each other the beautiful information channelled by Lee Carroll. We are slowly putting together a map so that when we have enough interest in a particular geographical area, we can set the ball rolling and make a time and a place for the first group Meetup. Suggestions and support welcome. So far we have had four Meetups, based around London, the South Downs and the south west. We would like to eventually extend this to all other areas of the UK and Ireland. It will take time so please be patient! The UK website is barely a year old but we are steadily building a list of subscribers on our mail-list. Sign up below for our monthly newsletter. To join our Meetup Groups all you need to do is Email us at kryon@gmail.com with your name and your nearest main town or City. Sign up to receive our monthly newsletter we will keep you fully updated.